Yep, it’s another mattress on Muni. The most remarkable thing here to me is that dude seems to be alone. 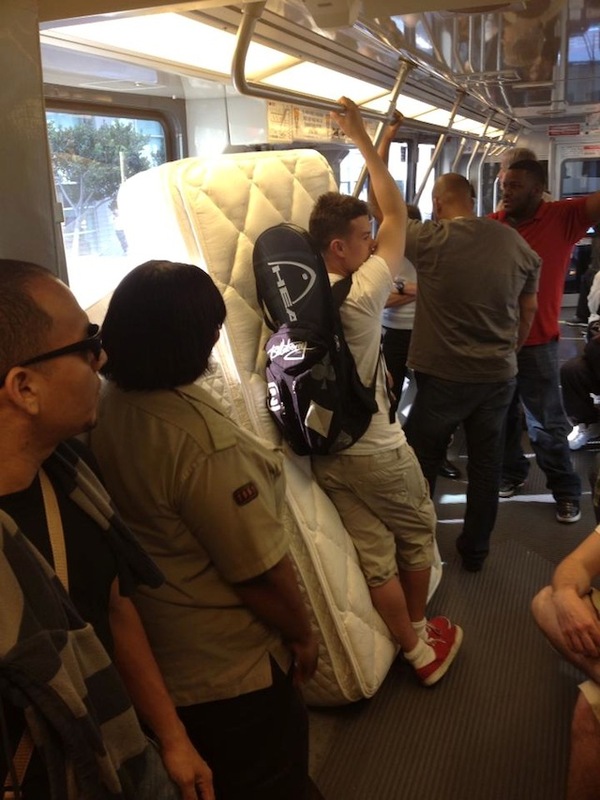 You know, carting a mattress around San Francisco, alone. Maybe he just won the mattress in a tennis tournament. Beats renting a truck just for that if you can’t borrow one easily.